Dental mouth openers have long been used as practical dental-care devices, useful for keeping the lips off of the teeth (Source). They're often employed in conjunction with teeth-whitening kits and for general home and professional dentistry uses. They've recently gained internet notoriety because of the popular Watch Ya Mouth party game (Source). The game pits players, fitted with cheek retractors, competing to to read and interpret phrases (Source). The best option for the game we examined is the W-Plus lip ﻿﻿retractors- some of the other options were too flexible or uncomfortable. Who knew these boring dentistry devices would evolve to become part of a funny party game? Regardless, these dental lip retractors can be re-used after going through the dishwasher, run through an autoclave (a sterilizing machine), or rinsed off with boiling water and hydrogen peroxide. Though they're often bought in bulk and used as disposable retractors. ​The EZGo and the Whitex options come in packs of 20, while the Azdent dental mouth openers come in a pack of 3, including Small, Medium & Large sizes. The rest of them come in Medium, designed to fit average, adult mouths. This lip retractor offered by E-Z-GO is a good option for someone who needs a disposable cheek retractors. Users like the how this disposable lip retractor works for a Speak Out game, but some do complain about the size and excessive flexibility. This C-Shape lip retractor gives you an unobstructed view of the oral cavity which is great for teeth whitening or extended use in dental offices. It is made from tough, eco-friendly, durable plastic and it comes in clear color and medium size, fit for adults. This dental mouth opener seems like a good choice if you are looking for a product for oral inspection or a game prop. The general user consensus concerning the E-Z-GO dental mouth opener is that works well for games such as Speak Out and Watch Ya Mouth. Buyers are very satisfied with the quality of this C-shape cheeks retractor. However, some buyers complain about the size and too much flexibility, saying that it was not that suitable for word games. 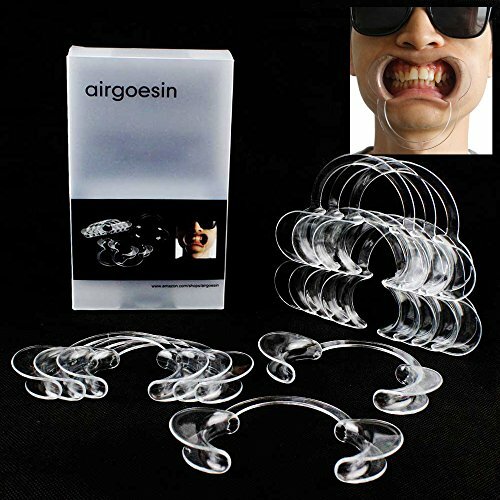 This dental lip and cheek retractor offered by Airgoesin is a good option for someone who wants a mouth prop opener for fun games with friends. Users like that this dental opener set is an effective option for Speak Out game and the like, but do complain about it being too big and too flexible. This product is made of high-quality clear plastic and is reusable. 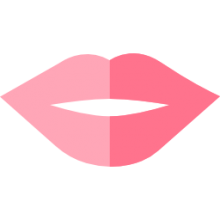 The set includes 12 pieces of lip retractors with 8 mm opening size which fits most adults. This C-shape intraoral retractor might be a solid choice if you are looking for a plastic retractor for dental use or word games. In general, users have a positive opinion of the Airgoesin dental retractor, saying that it works quite fine for the games such as Speak Out. However, some buyerscomplain aboutthe product being too flexible and that it stretches lips too far making it uncomfortable to use. One dissatisfied user says that the plastic is very flimsy and easy for adults to bend and manipulate. Another one adds that due to very thin plastic this lip retractor snaps easily. This cheek retractor for teeth whitening offered by AZDENT is a solid option for those who need to get wide view of the oral cavity for orthodontic treatment. Users like that the product serves its purpose and includes 3 sizes, but some do complain about the item breaking easily. 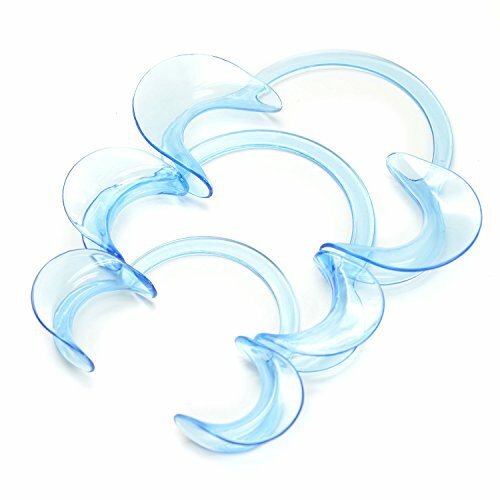 This product is a C-shape, clear blue dental mouth opener made of medical plastic that comes in 3 sizes (small, middle and large) which is great because you can choose the one that fits your needs. It works great for home teeth care since it doesn’t stretch lips and feels comfortable.If you are looking for a dental cheek retractor that will give you an unobstructed view of the oral cavity, this mouth opener might be a solid option. In general, users have a favorable opinion of thislip retractor, stating that it works as intended. What they love in particular is that the set includes a variety of sizes, therefore you can choose the one that fits you best. One satisfied purchaser says that this cheek retractor is not the flimsy type but tough built. However, several purchasers are dissatisfied because they experienced this AZDENT dental mouth opener break easily. If you are looking for a top-rated cheek and lip retractor, you might want to consider this standard dental mouth opener offered by Whitex Dental. Users like that this set provides extra mouthpieces for playing games such as Speak Out, but some do complain about poor quality and the size being too small. 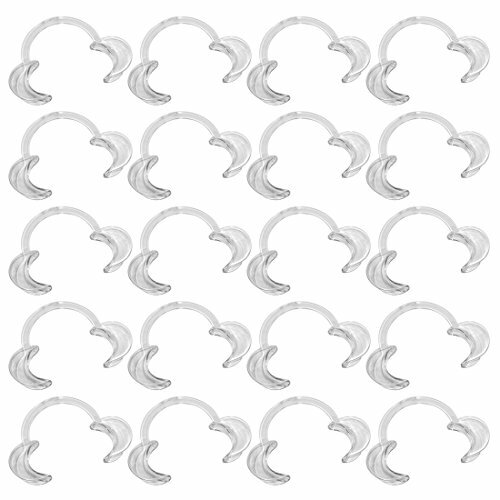 This set includes 20 quality disposable dental cheek retractors. The lip retractors come in standard medium size which is the perfect fit for the majority of mouth types. This professional quality C-shape mouth opener could be a good choice if you need a mouthpiece to have fun with friends playing Speak Out game. In general, buyers are satisfied with these extra mouthpieces for playing popular games such as Speak Out. One purchaser says that the lip retractor is very strong and comfortable. 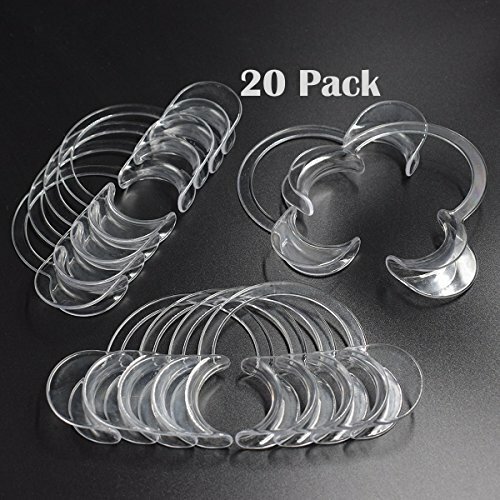 However, several buyers complainabout the poor quality of the cheek retractor which caused many pieces to break. One dissatisfied purchaser shares that the size of the item is too small. If you are looking for an intraoral lip and cheek retractor, you might want to consider this mouth opener offered by W-Plus. Users like the quality of this mouth opener set, but some do complain about the mouthpieces being too soft and somewhat small. This product is made of medical grade polycarbonate material which is safe to be used in the mouth. It features smooth edges which is great because it provides maximum comfort and prevents accidental slippage. The set includes 12 reusable and easy to clean mouthpieces designed for the adult-sized mouth. It can be great as a dental aid for those who use tooth-whitening kits, and it can be also used as extras for popular box games such as Watch Ya Mouth.If you are looking for a mouth-opener game prop, this might be a good option. In general, users have a favorable opinion of this W-Plus lip retractor set, and they praise the good quality and the fact that they serve their purpose. However, some buyers complain about the mouthpieces being too soft and smaller than the ones that come with the original mouth-opener games. One dissatisfied purchaser says that the items are very easy to break. The first retractor was examined and is manufactured by EZGO. Marketed as an autoclavable dental mouth opener and cheek retractor, it is popularly used in the mouthguard challenge game on YouTube. This particular option is medium-sized, which is indicated for use by most adults. It is clear in color and is C-shaped, designed to easily keep your mouth open, generally for the treatment and inspection of your oral cavity. Built from recyclable material this transparent, plastic dental mouth opener is often employed by home and dentists, as well as professional physicians who require a medical-quality polycarbonate option to assist teeth-whitening regimens. Usefully, they are reusable, and you can sterilize them to ensure they are clean for a second and third use. One buyer says that they are dishwasher safe, with some people who purchased them to play the viral YouTube game saying that they are too flexible for that purpose. The purpose of the game is to make it difficult to be understood when you speak, so if they're too flexible it means that your language isn't humorously disguised. The second cheek retractor we examined is the Airgoesin mouth opener- you get 12 pieces in a pack, which are indicated for an average height-sized adult mouth at 80 mm. One reviewer says that they are dishwasher safe, but you can also rinse them off with a mixture of hydrogen peroxide and boiling water. Again, reviewers we interviewed say that they are too flexible to make the game work. Others say that they are too big, making it uncomfortable to use because the user's lip stretches too far. On the other hand, one buyer says they became acclimated to the size and feel of the dental mouth openers, saying that once you got familiar with them your lips and gums stop feeling sore. The third option we examined his the Azdent dental cheek retractor-it ships in the C-type and O-type styles. In addition, the package includes three pieces, a small, medium, and large, meaning that you'll be able to find a fit that works for an adult as well as a child. It is marketed towards people that practice home dentistry, individuals who are undergoing teeth whitening sessions, assist dentists and other physicians inspections of patients' mouths, and great for orthodontic inspections. Buyers say they use autoclaves to sterilize them and a high-pressure and temperature environments. Buyers have provided mixed feedback, saying that they are not the sturdiest option and that they break pretty easily- so you should really only look at them as a disposable option. The fourth option we examined was manufactured by Whitex Dental- they ship in packs of 20 and are medium-sized, designed to fit the majority of the most adult mouths. Buyers said they were happy they purchased so many because in the case of the viral Watch Ya Mouth YouTube game, many people are pretty germaphobic so they don't want to reuse one of these lip retractors, even if it's been sterilized. The last option to be examined was the W-Plus intraoral cheek opener and it's manufactured in a medium-sized designed to fit most adult mouths. Buyers who play the Watch Ya Mouth game say that because the game requires them to say words without using their lips, using a lip retractor was obviously indispensable to their entertainment. Besides fun and games, they are useful dental aid for dentists as well as people who have purchased teeth-whitening kits and need extended access/retraction to and of their mouths. Because they provide unobstructed access to gums and teeth, they are frequently purchased as a complementary accessory for teeth whitening kits. The manufacturers say that the edges have been smoothed to make it comfortable inside of your mouth, preventing accidental slippage whether you are interested in gags or have actual medical use for these C-type mouth openers. Some buyers recommend purchasing the actual game, Watch Ya Mouth or Speak Out, to ensure that you get the lip retractors that work the best for the gameplay. Other buyers say that as opposed to the lip retractors that shipped with the games that these were much less painful when laughing when the standard-issued mouth openers.